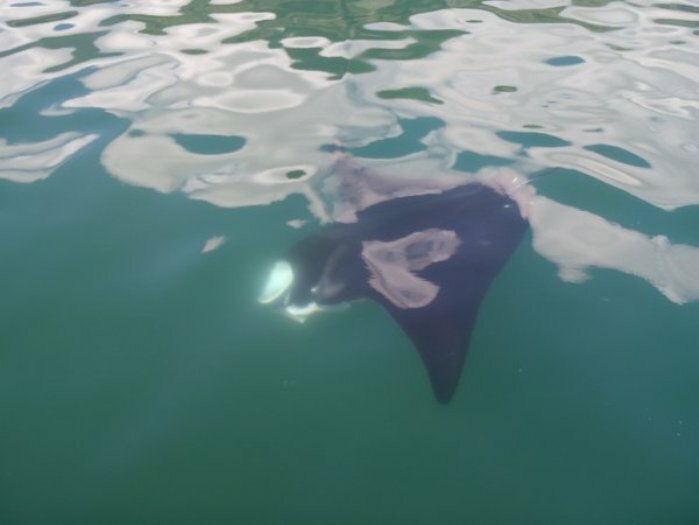 The manta rays in Anaho bay are massive creatures. 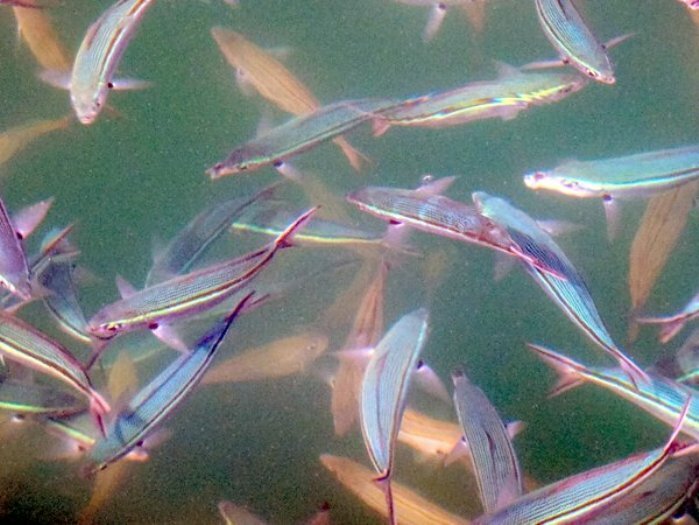 It is hard to give an idea of scale on a photo, but here are some fish that are about six inches long. 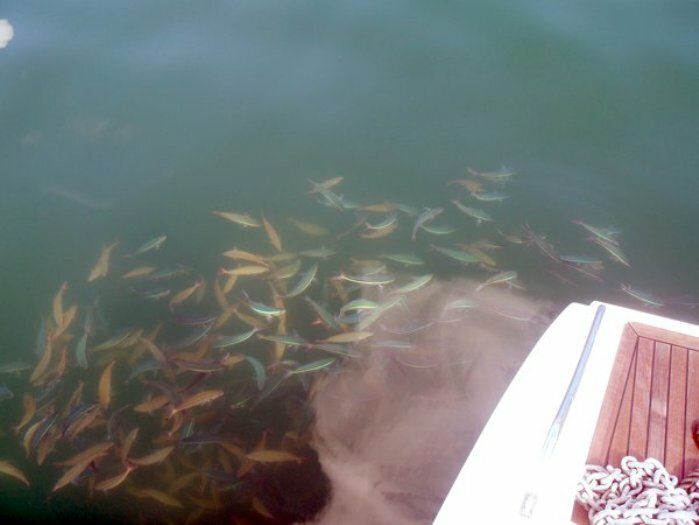 Here are the fish are swimming around Anastasia's sugar scoop. 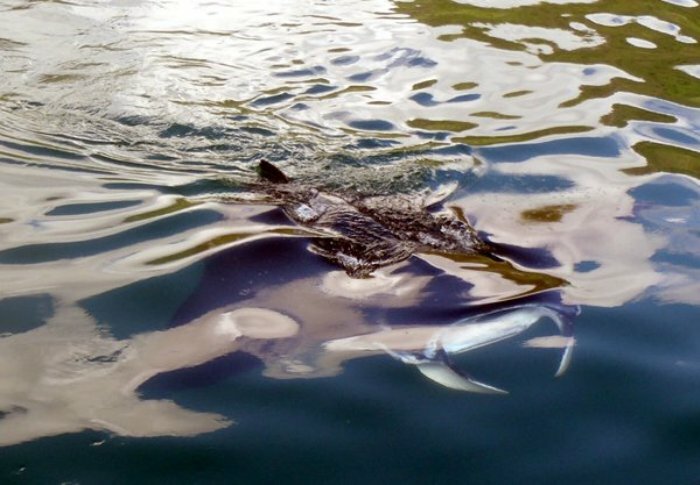 And here are the fish with one of the manta rays. His body is about the same size as a person. He is a filter feeder, so the big mouth is just for vacuuming in the plankton. Anyway, we decided that the presence of rays probably meant less sharks in the water, so Andrea went for her morning swim anyway. 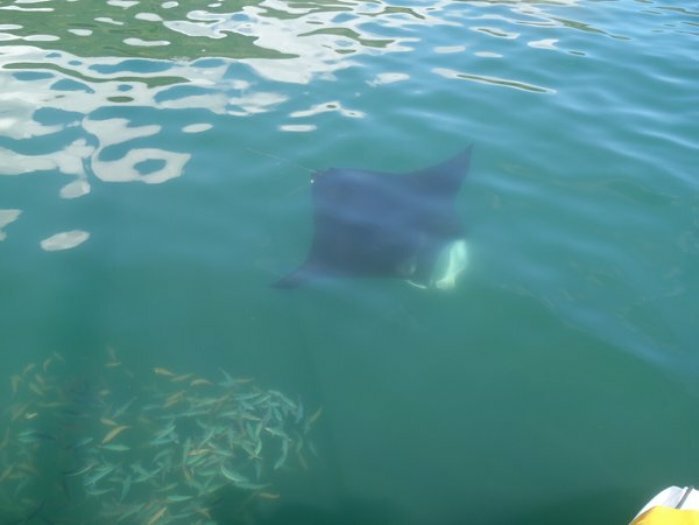 I am afraid I didn't get any pictures of Andrea and the rays together because they moved away as soon as she entered the water.